Remember how we’re in the midst of a BIG renovation project upstairs? Well, it’s ALMOST done. We’re living upstairs now and while we still need some electrical work (there are no lights in bathroom) and some plumbing (one of our vanities arrived cracked, we need a piece of marble for the drop in tub and the shower door is not installed yet), it looks pretty good up there. So good in fact, that we’re actually working on finishing touches – like hanging curtains and making art. 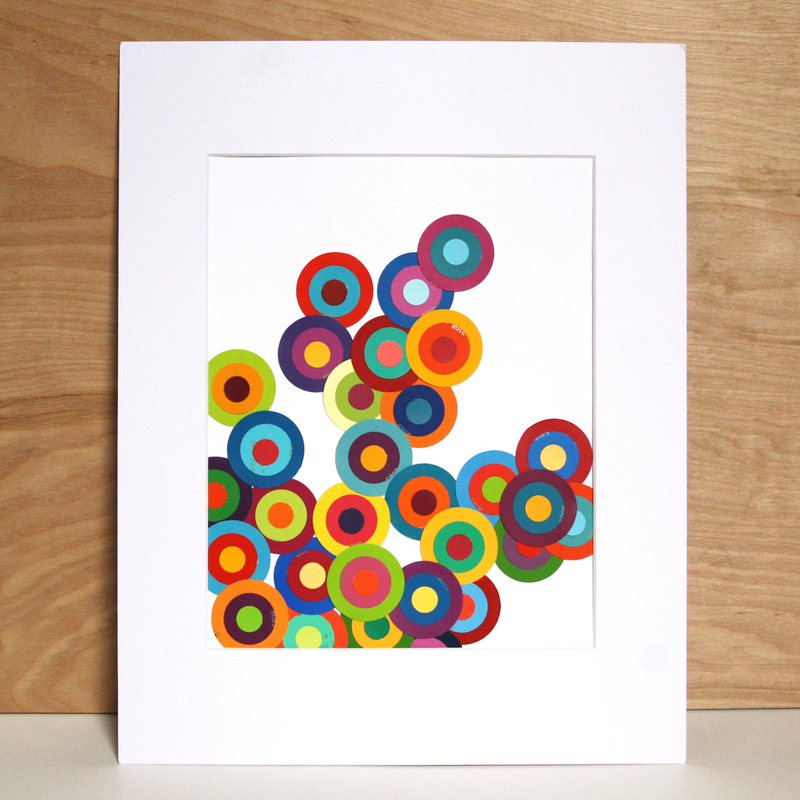 Here’s a really fun and simple art project I made for the one-day nursery. I’m pretty excited about the result. I watched HGTV while I punched the circles and glued the layers, took a break and finished the project later in the day. The whole thing took two hours tops, probably less. It’s way too early to plan a nursery, but because of our house renovations we’ve been forced to make a couple of decisions already. 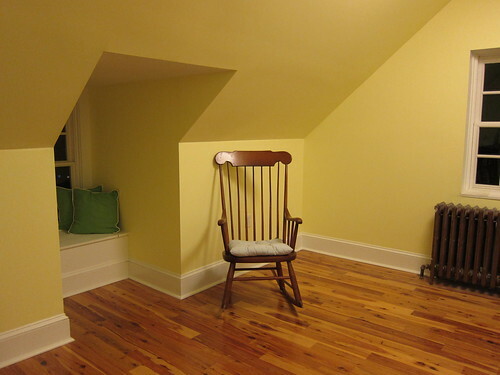 For example, since we have professional painters attacking all the walls, it made sense to have them paint a color that would work for a future nursery. Why repaint ourselves in 6 – 18 months? We also needed a light fixture for the room. Again, we wanted to pick something that will work now and in 12 months. Those are pretty much the only things we specifically picked with the room’s future purpose in mind. 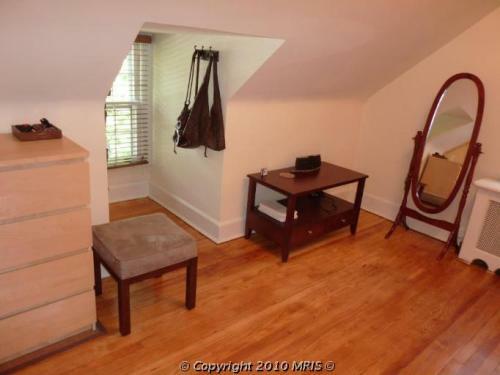 Once it’s done, we’ll take a picture before we move furniture into the room, as our social worker suggested.